It is about time a documentary surfaced on Elvis Priestly – aka The King. Why is Elvis nicknamed The King? In Kevin Smith’s DOGMA, Satan claimed that he does not believe in fighting in God’s army and was therefore banished from God’s Kingdom. A character goes to say, Elvis served in the army and that is why he is The King! But the most appropriate reason would be that Elvis is the King of Rock and Roll. “How does it feel to be right up there on top?” is a question asked at the start of the movie. As much as Elvis represents the American Dream – (anyone can be what he wants if one works for it), the film accurately reveals the truth that it should be peace, love and the pursuit of happiness that one poor black woman in the film confesses. But THE KING the movie is not so much a biography of Elvis but a history of Elvis tied to America and its politics. Writer/director Melecki devotes a fair amount of scene time to the debate of Elvis’ appropriation of black music. One black interviewed says that he stole black music and never did anything for the black man. But another says that music should not be segregated. There are two sides to each story. As Elvis was such a famous star, there exists much archive footage available for Melecki to choose. Included are clips from his many films. A good impressive cast of stars that include Ethan Hawke have their say. Hawke speaks with authority about Elvis as if he knew the king personally. Other interviewees include Elvis’ best teen friend but one wonders the reason Melecki includes the folks that used to stay in the original house where Elvis grew up. These people did not even know that it was Elvis’ house they lived in. Melecki also includes himself in the doc as he is driven around asking questions. It is hilarious how all documentaries include clips of President Donald Trump and very unflattering ones at that. THE KING is no exception with Trump displayed at his lower common denominator. The film contains a neat look at America from Canadian Mike Myers’ perspective. Melecki puts American down at many points in his documentary. 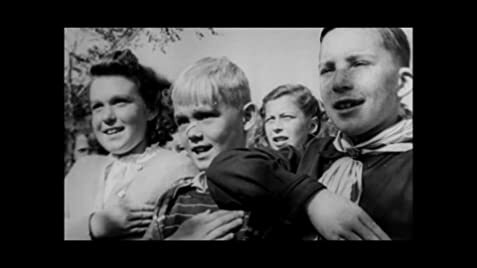 Director Melecki’s last third of the film covers the reason why American is not great again. Despite what Trump had said: Make America great again!” America can only be great if it cares again. Melecki also contrasts Elvis loyalty to the country and military to Mohammed Ali’s refusal to join the army. “Going to jail is better than killing innocent Chinese and Vietnamese,” says Ali in the film. Then there is the Alec Baldwin bit degrading Trump again. It is an excellent debate. The only problem is the film going completely off-track with the downside of America, though Melecki ties it to Elvis at the end. The film ends sadly with the death of THE KING, sadly at the young age of 42. 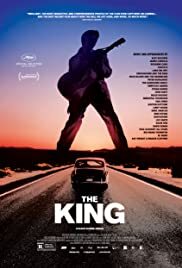 THE KING is as much a story of the downfall of Elvis as it is of America.